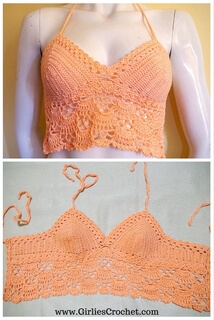 Girlie's Crochet Issue # 015! This Bea Tank Top is a vibrant top for the casual summer outing. The light and airy design makes it an ideal cover up to your bathing suit and at the same time can be worn as a casual blouse. This free crochet pattern is easy to create with minimal effort with step by step instructions and photo tutorials. 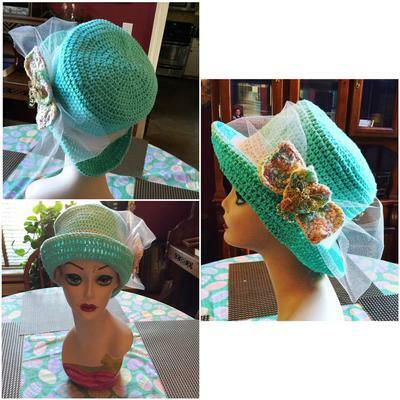 This beautiful Derby Hat was shared by Linda Tynes, you might want to read how she came up with this beautiful crochet project.